Our framing projects include schools, universities, historical renovations, civic centers, amusement parks, childcare facilities, medical facilities, retail buildings hotels and more. We have experience with DSA and OSHPOD Inspections. Since 1999 W.S. 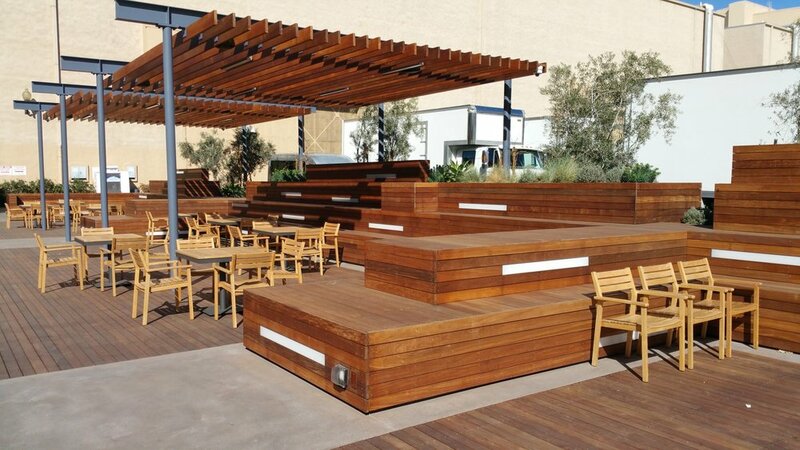 Klem has been installing specialized decking using an exotic hardwood like IPE, Red Mangaris, Teak, and Jarrah. Manufactured products such as Trex, Timber Tec, and Azek have been installed when the project requires. Decks have been built using conventional framing and pedestal systems. We have completed some specialized decks including the UCLA logo at the school's new football center. 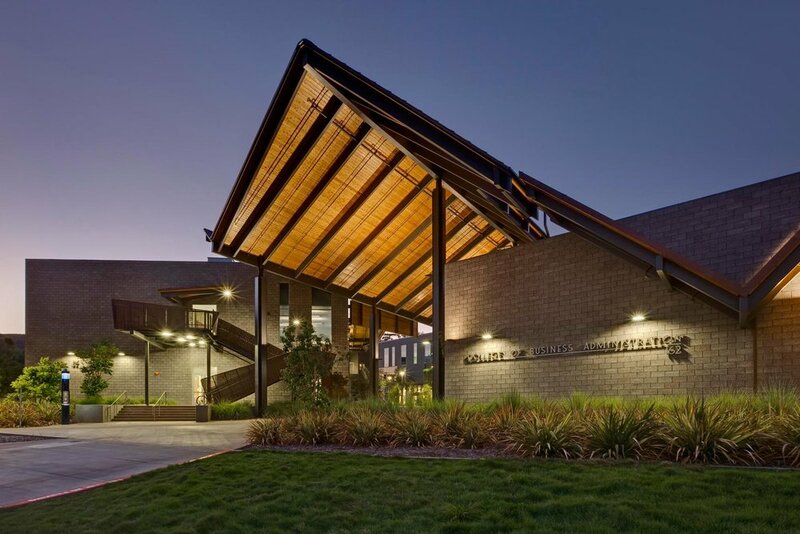 Large timber projects using glulam beams and cross-laminated timber have been a specialty of our for many years, we take pride in our quality and ingenuity for erecting these large structures. 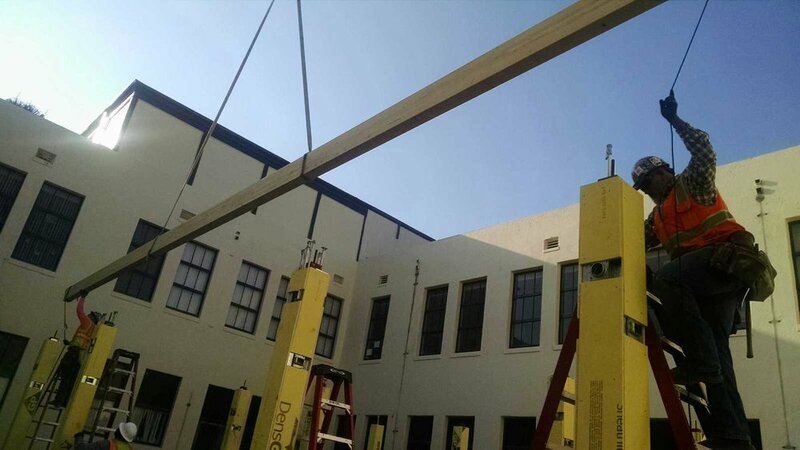 In all cases, we built the trusses that you will view on our website. 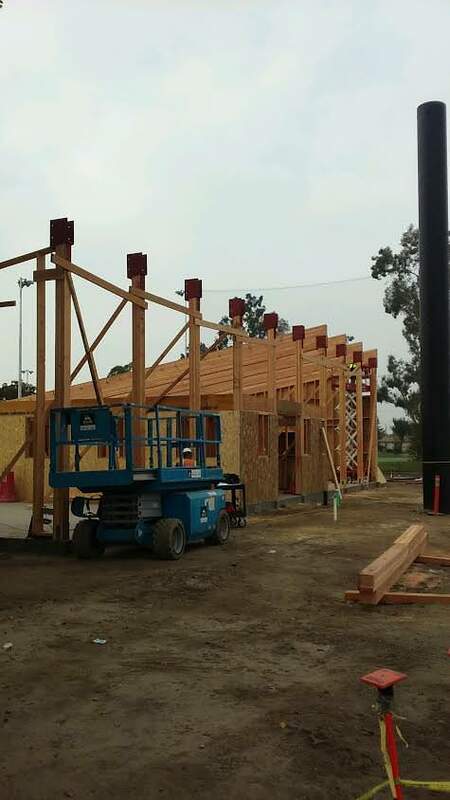 Cross-laminated timber (CLT) is a new timber product making its way into southern California. We think it is the future of wood construction, ask us about CLT. 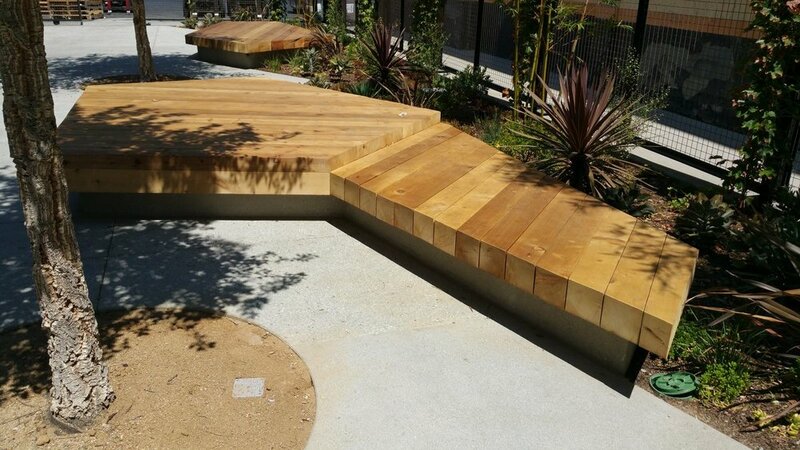 Straight or curved, we have built many benches for parks, hospitals, hotels and office buildings. In recent years we have seen a resurgence in siding. Siding systems like Climate-Shield Rain Screen using exotic hardwoods have been showing up all over the Southland. Our experience includes manufactured products. These products provide durability and variety for the building. Since California is a high earthquake zone, seismic retrofits are always required. We have been installing retrofits since 1993. Sometimes these projects occur in occupied buildings. To ensure business goes on as usual, we work at night, through the roofs and occasionally in empty buildings. Copyright © 2018 WS Klem Contractors. All rights reserved.